The articles contain fabricated and distorted descriptions of the patients’ conditions before and after the operations. Justification is lacking for treatment of the patients on the grounds of so-called vital indication (when a given treatment is the last resort for survival), and one misses reference to relevant animal experiments which must precede human studies that involve unproven methods. Furthermore, ethical approvals are lacking, as are appropriate informed consents. KI and its leadership has during all these years tried to harass me and my whistleblowing colleagues. This decision is just a continuation of five years [of] harassment. We have been very critical [of] the way KI has handled the Macchiarini case and it is ridiculous that KI should have a final word in this case, they are so biased. It is like letting the other [soccer] team coach be the referee in a [soccer] team and decide over the other teams penalties. Me and colleagues have done a fantastic work to uncover the Macchiarini scandal, while KI always have tried to stop us and free Paolo. After this decision no one will ever make complaints when it comes to research- the consequences are to high!! The investigation points to inaccuracies for which Paolo Macchiarini is ultimately responsible but for which several of the co-authors also bear responsibility. The four whistle blowers are to be commended for their action in this case that has contributed to the investigation. However, it is KI’s firm opinion that a whistle blower who has participated in a scientific study and also as author of a scientific article, despite reporting, cannot be freed from blame or absolved from responsibility. –Tracheobronchial transplantation with a stem-cell-seeded bioartificial nanocomposite: a proof-of-concept study, Lancet 2011; 378(9808): 1997–2004. Cited 272 times, according to Clarivate Analytics’ Web of Science. The paper has already been flagged with an expression of concern. –Engineered whole organs and complex tissues, Lancet 2012; 379(9819): 943–952. Cited 251 times. –Verification of cell viability in bioengineered tissues and organs before clinical transplantation, Biomaterials 2013; 34(16): 4057–4067. Cited 13 times. –Are synthetic scaffolds suitable for the development of clinical tissue-engineered tubular organs? Journal of Biomedical Material Research 2014; 102(7): 2427–2447. Cited 9 times. –Airway transplantation, Thoracic Surgery Clinics 2014; 24(1): 97–106. Cited 18 times. –Biomechanical and biocompatibility characteristics of electrospun polymeric tracheal scaffolds, Biomaterials 2014; 35(20): 5307–5315. Cited 24 times. We welcome the report from the Karolinska Institute. We will study their findings and conclusions carefully and respond as soon as possible. According to the President’s decision, an additional 31 authors are blameworthy for their contributions to the articles, however not responsible for scientific misconduct. Another five authors are cleared of blame and of responsibility for scientific misconduct. Karolinska Institutet is requesting that the six articles be retracted without undue delay. 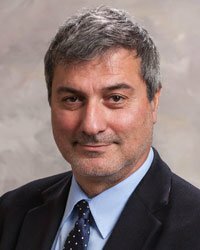 As Science reported earlier this year, Macchiarini continues to publish research, serving as senior author on a recent paper in Journal of Biomedical Materials Research Part B: Applied Biomaterials that examined artificial esophagi “seeded” with stem cells. Update June 27, 2018 14:13 UTC: A representative of KI sent us an English version of the full report. The earthquake produced by Macchiarini’s brief employment at the Karolinska Institutet continues with major aftershocks. You identify Anders Hamsten as the Vice-President who made the initial attempt to clear this up, only to have it now superseded. Hamsten in fact became President in 2013 but was forced out in 2015. Ottersen’s statement today cites 7 co-authors in the about-to-be retracted papers for misconduct, in contrast to the 43 co-authors identified for ethical lapses by the Swedish Central Ethical Review Board (CEPN). He adds that “Only a few of the authors are currently employed at or associated to KI.” Not clear if he means a few out of the 43 or a few of the twice sanctioned super 7.